We have a new pig. Her name is Ruby. She is barely more than a baby. 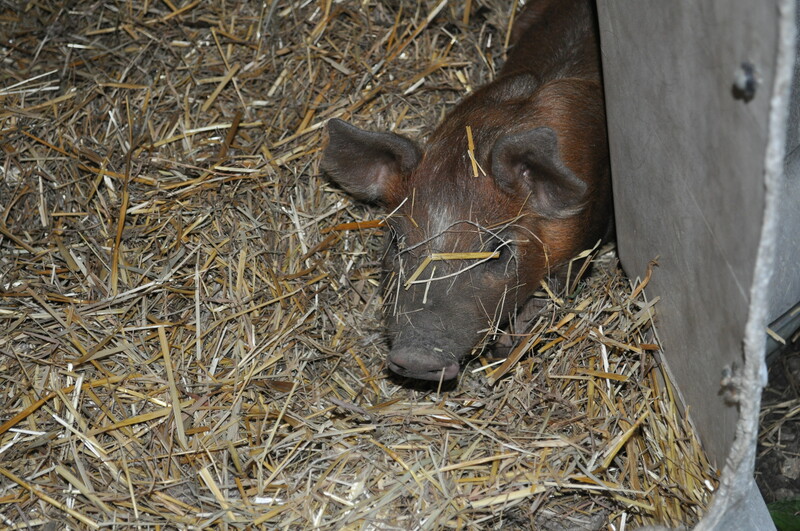 Ruby is living in Koda’s pen right now, because there is no WAY our pig pens would keep her in! We are hoping to keep her and breed her, if she turns out to be a good one! Ruby’s first act as our new pig? … volunteering in last week’s YP Cowley Kiss the Pig Contest. She wasn’t so sure about Dennis, our lucky winner, from Citizen’s Bank of Kansas. And I know Dennis wasn’t so sure about her. But he was a great sport!